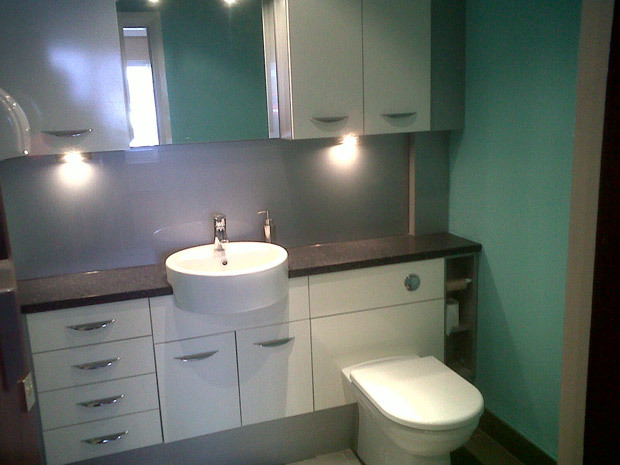 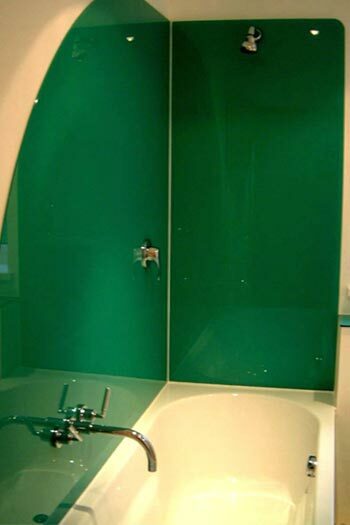 Bathroom Wall claddings are widely used within the high splash areas of showers and baths, coloured glass is a perfect material for this purpose. 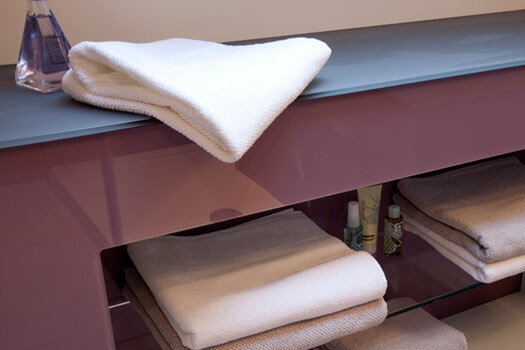 Glass is waterproof, impervious to wear, and a perfect substitute for tiles and grout in any bathroom, shower or wetroom design. 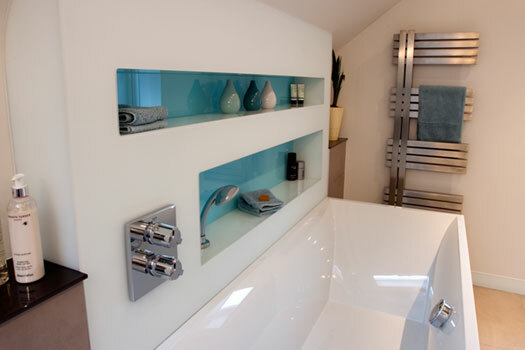 Alongside shower splashbacks coloured glass bath panels and cladded walls incorporating functional shelving niche's complete the lustrous look. 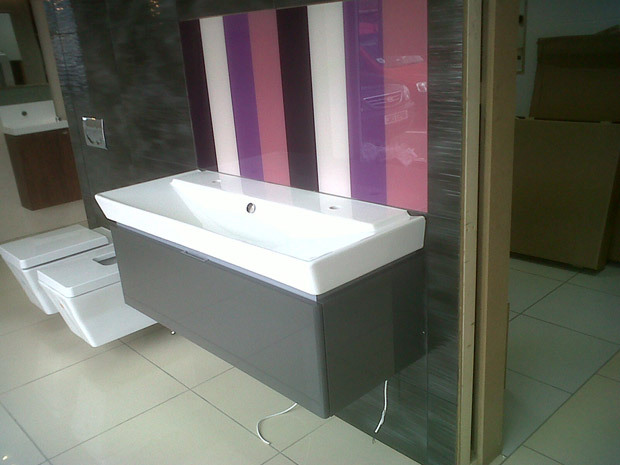 Colourways include a standard flat and metallic colour range along with the options of colour match and printed images also available. 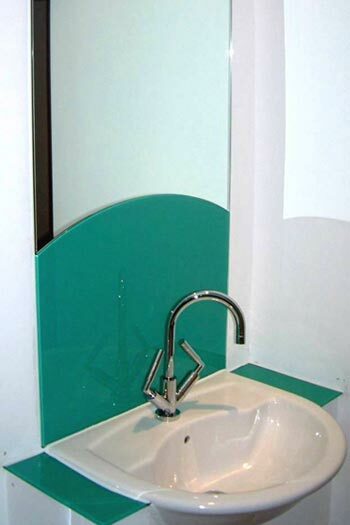 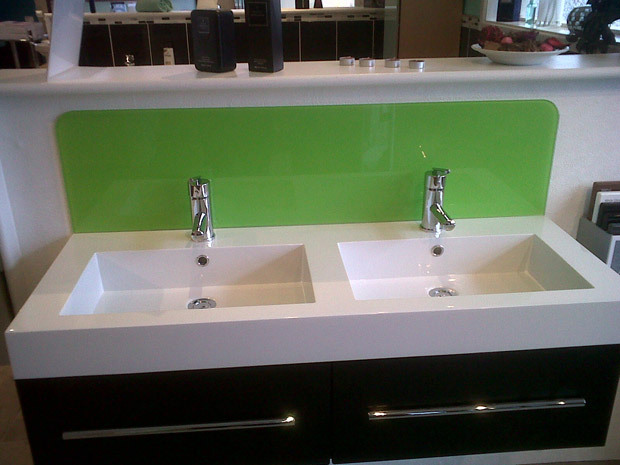 To compliment your colour choice on the reverse of the glass, surface finish options available are classic gloss, frozen and various patterns and textures. 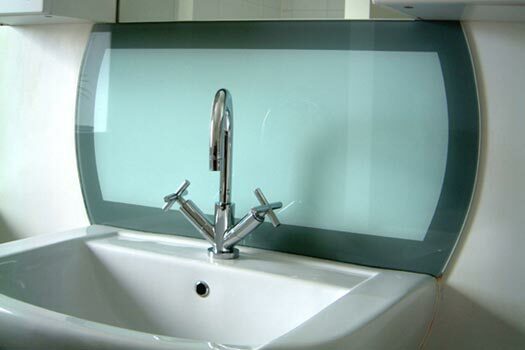 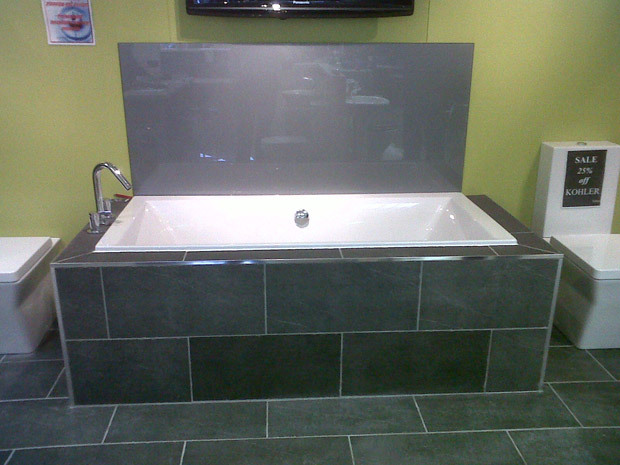 Produced using 6mm toughened glass, any cut outs and shaping required are made in the glass using state of the art new generation CNC machinery ensuring best finish and fit.